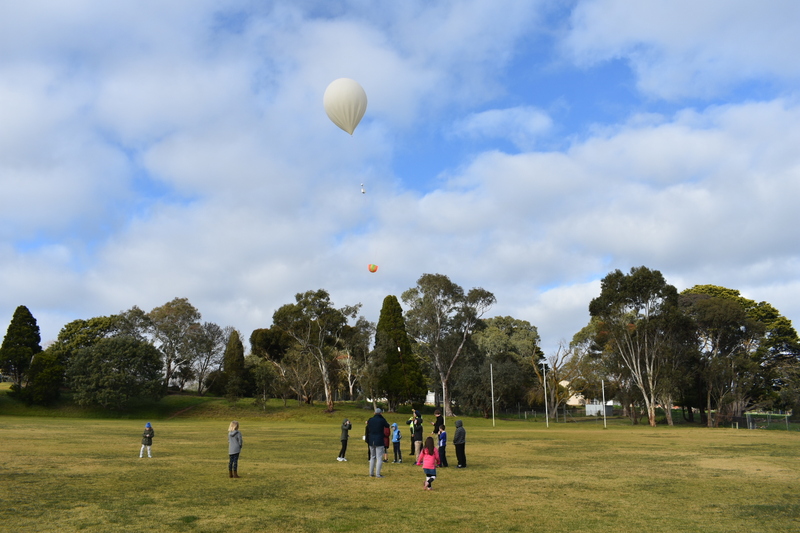 At 10:08AM CDST, on the 11th of March 2018, Horus 48 was launched from Mt Barker. This planning for this flight started out as an excuse to use up some helium leftover from the previous two launches, and quickly evolved into a mechanism for testing out some new payloads and launch concepts – the main one being the use of the ‘THOR16‘ data mode, which is considerably more robust to interference than RTTY, at the cost of being about 50% slower. The week prior to the launch, a ‘test and tune day’ was conducted. 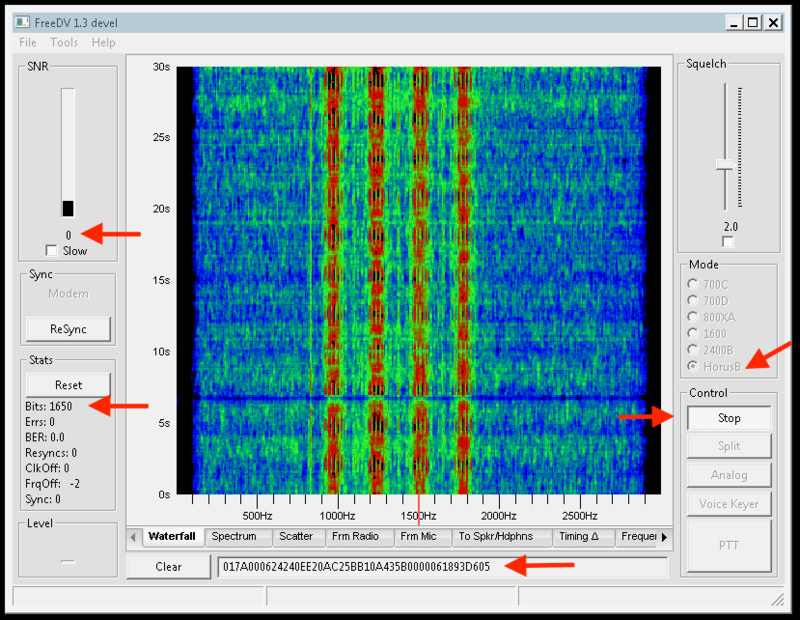 An example THOR16 signal was broadcast from Mt Lofty summit, with many stations tuning in and decoding telemetry. The responses from this test were promising, with one station reporting he had much more success with THOR with it’s forward-error-correction, as local LIPD noise would disrupt RTTY decoding resulting in invalid telemetry. Thanks to the following stations who participated – it was great to see so much interest! 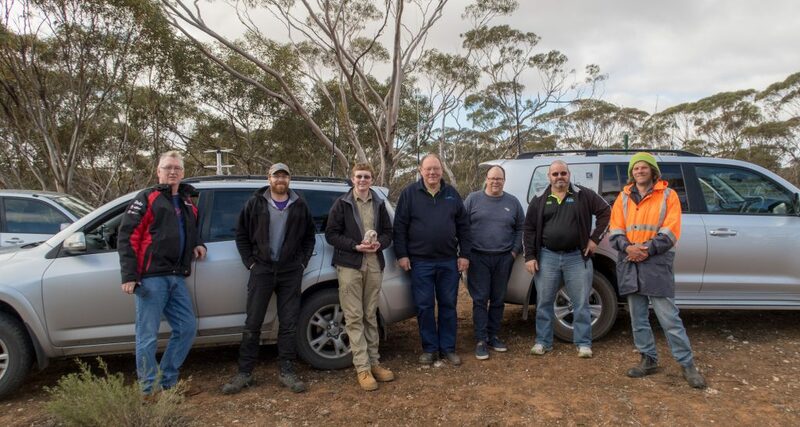 The launch was quite light-on with helpers – Mark VK5QI and Will VK5AHV performed the launch activities, with help from David VK5DGR, Drew VK5XFG, Rod VK5ZOT and a few others. 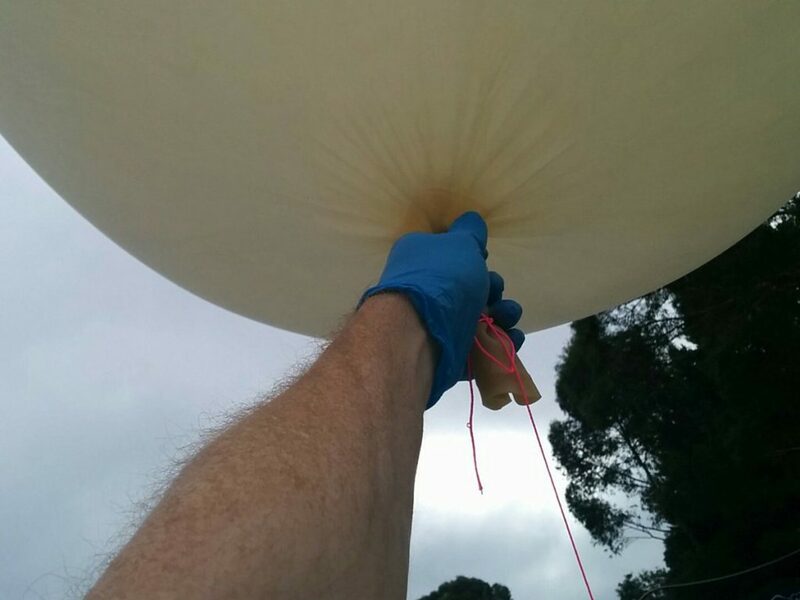 The original intention to use a small 100g balloon went out the window the night before the launch, when it was discovered the specified burst diameter for the 100g balloon was not quite as expected – this would have resulted in a ~3km burst altitude! 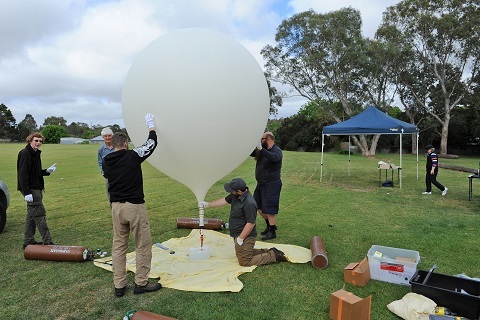 Instead an old 1000g Hwoyee balloon was used. 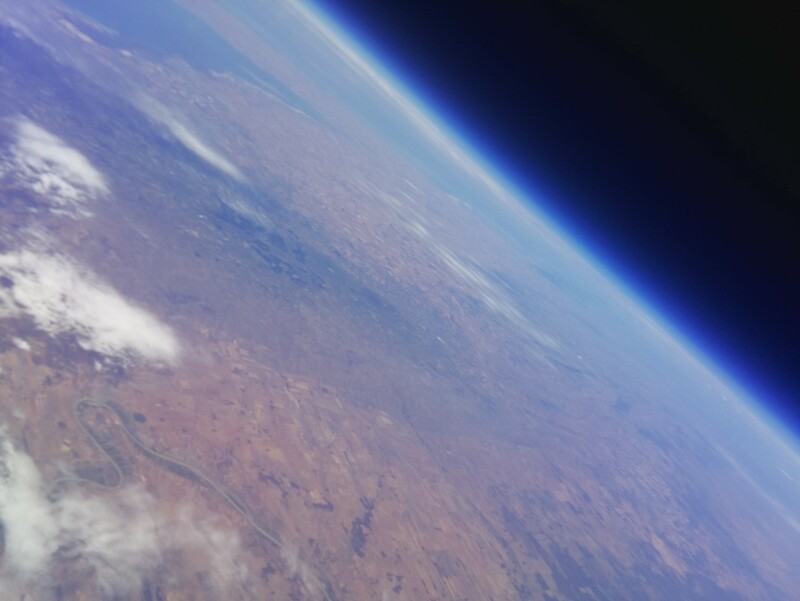 The larger balloon meant all the gas in the cylinder had to be used up, and even this only resulted in an ascent rate of 2.5m/s (we usually aim for 5m/s). 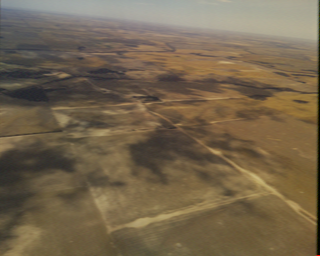 To counter the low ascent rate, which would have resulted in a 4 hour long flight, and a landing well to the east of Bowhill, one of the Horus cutdown payloads was flown, allowing termination of the flight via a command from the ground. This cutdown payload used a newly developed cutdown device (to be kept under wraps for now! ), which is intended to replace the nichrome wire string-cutter device previously used – Experiment #2 for this flight! All up, the payloads combined only weighed ~300g. 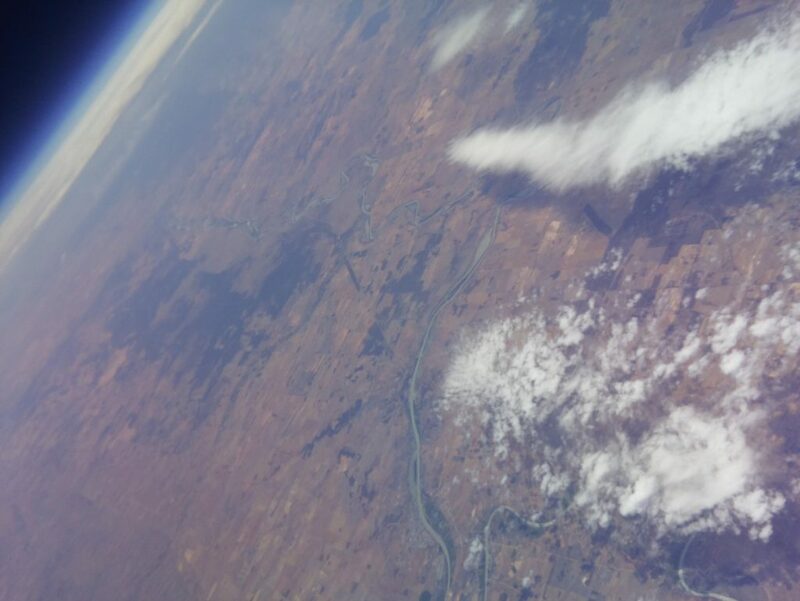 The smallest parachute we have in stock was used (a 2ft ‘Rocketman’), and was hung off the side of the balloon train instead of in-line with the payloads as we would usually do. 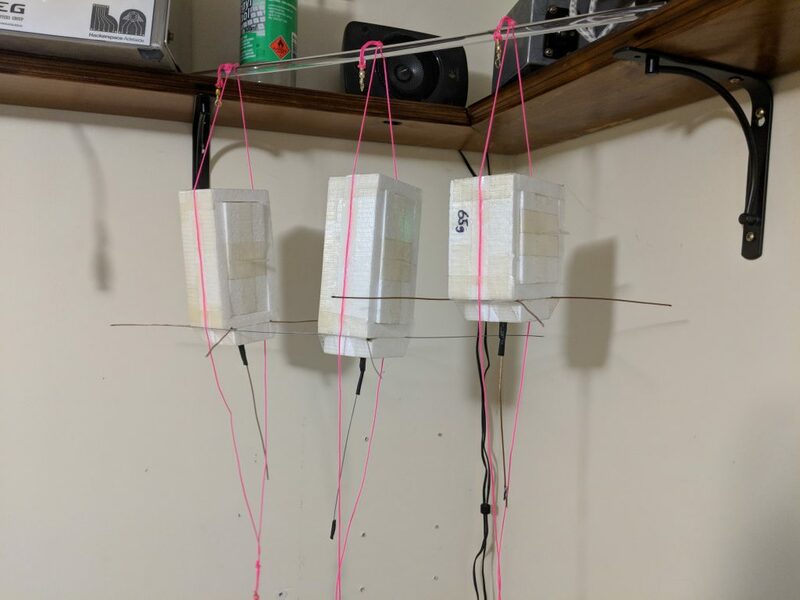 This was to try and reduce the tangling of the parachute with the payload string that had been encountered on the last few flights – Experiment #3! 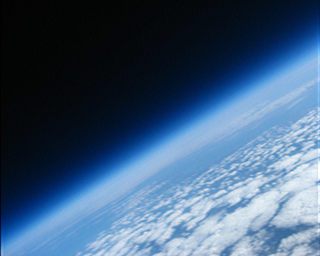 Various small payloads, about to be launched into the stratosphere! 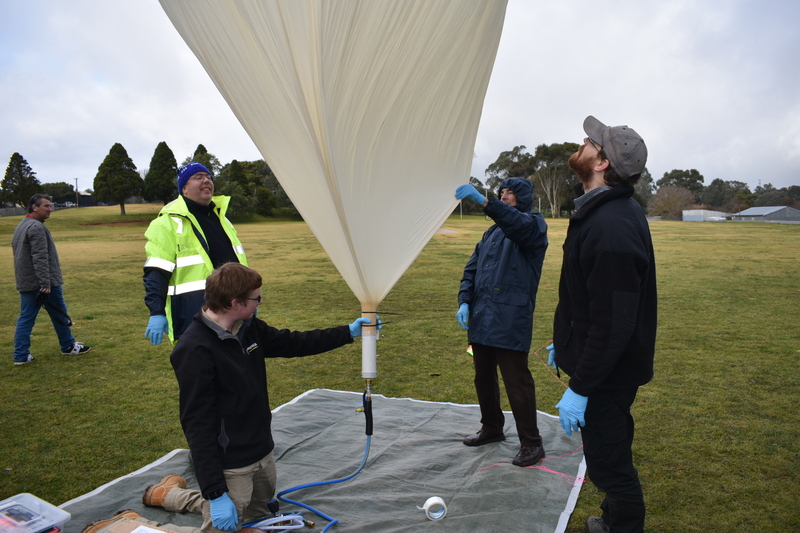 Launch was pretty much textbook – some light winds encountered during filling died down for an easy release into the skies. 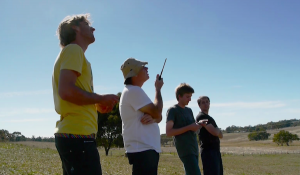 Will and Mark immediately headed off towards the target landing area, while David VK5DGR and co headed off to Mannum for a bakery stop. 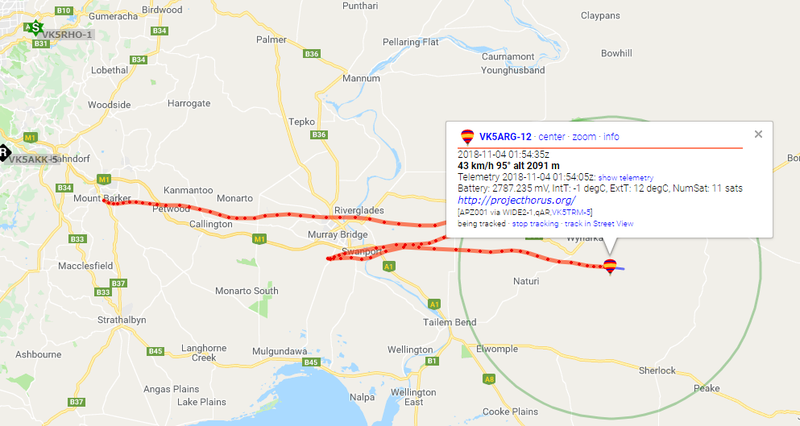 At about 10km altitude the cutdown signal was sent to the payload, with the intent of landing the payload to the south-east of Mannum. The new cutdown device worked first-go – a success for Experiment #2! 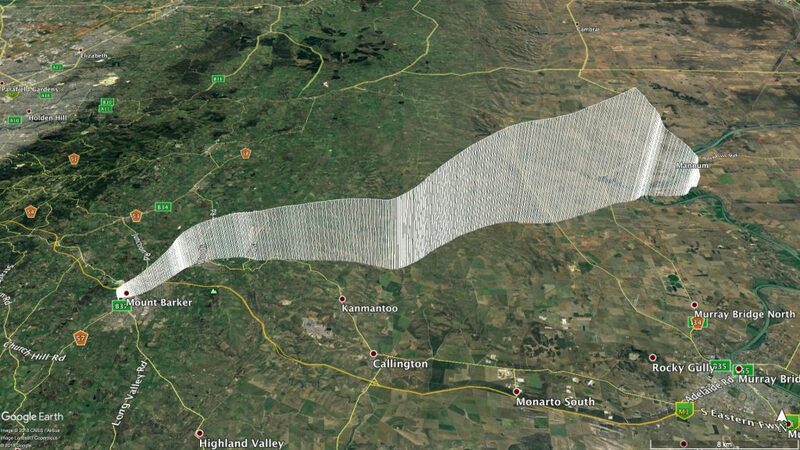 The payloads then quickly descended to a landing on a property just across the river from Port Mannum. Will and Mark caught sight of the payloads at about 800m altitude, and were able to watch the payloads descending behind a hill, into an empty field. The parachute was clearly doing its job, and was not tangled up or ensnared in the other payloads – another successful experiment! All payloads sighted just before landing. 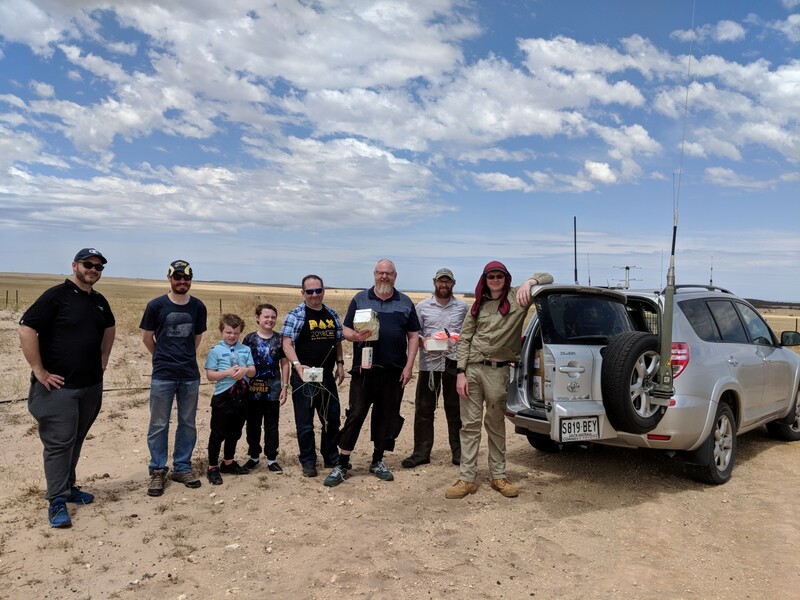 A quick discussion with the landowners (and their friendly dogs) and permission to enter the field and retrieve the payloads was granted. A short walk and the payloads were in hand! 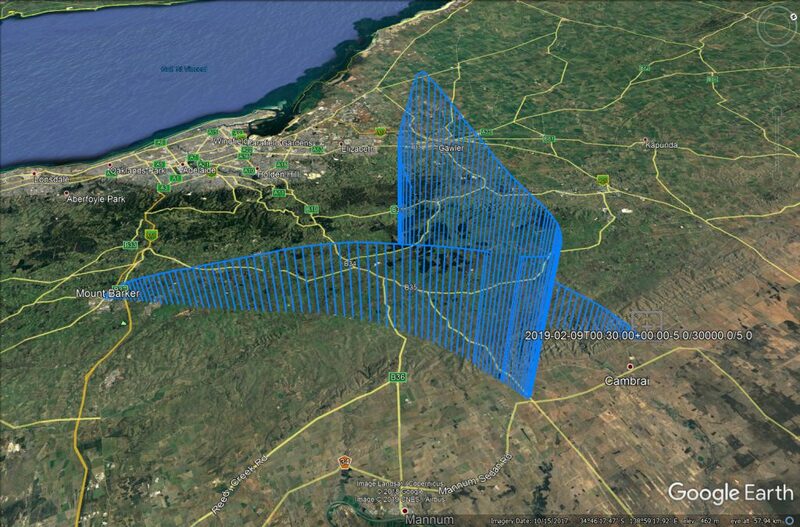 Everything is more interesting with data – so here is the flight’s vital statistics. 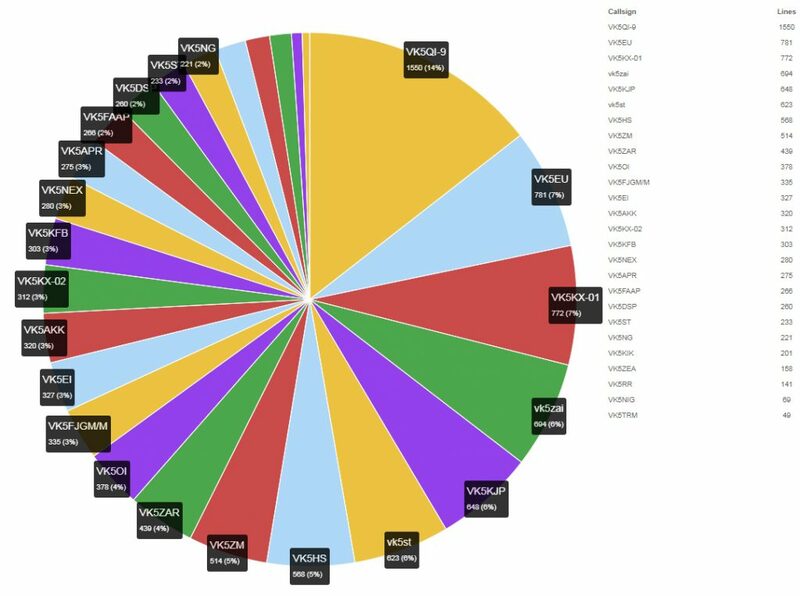 The callsign pie chart shows the combined result of both RTTY and THOR telemetry streams – great to see so many contributors this time! The slow speed of THOR16 (one update every ~20 seconds) makes tracking the flight through critical stages like burst and descent difficult. 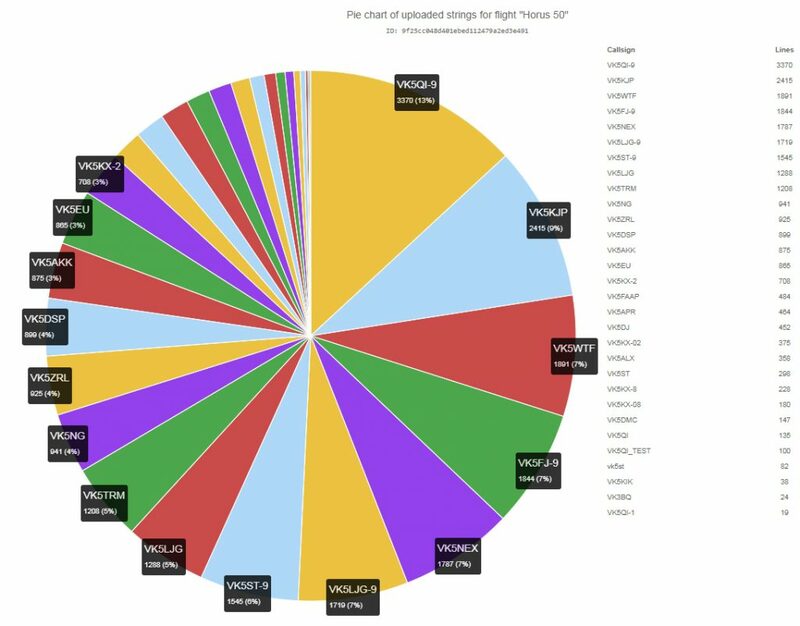 The chase team ended up switching to the cutdown payload telemetry (updates every 5 seconds) to get more frequent position updates. 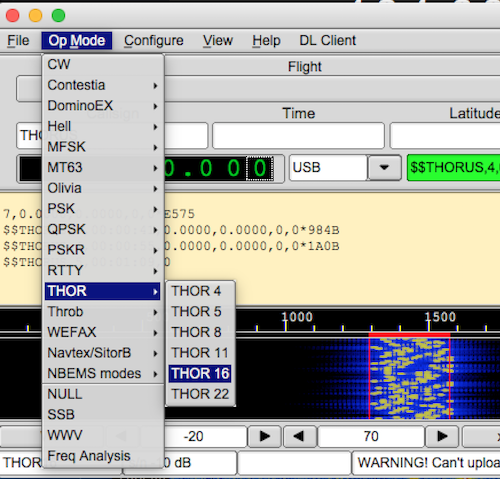 … fldigi has no automatic frequency correction for THOR16. While the payload’s transmitter didn’t drift very far, it did drift far enough for the performance of the demodulator to drop, resulting in quite a few lost packets until the issue was noticed. 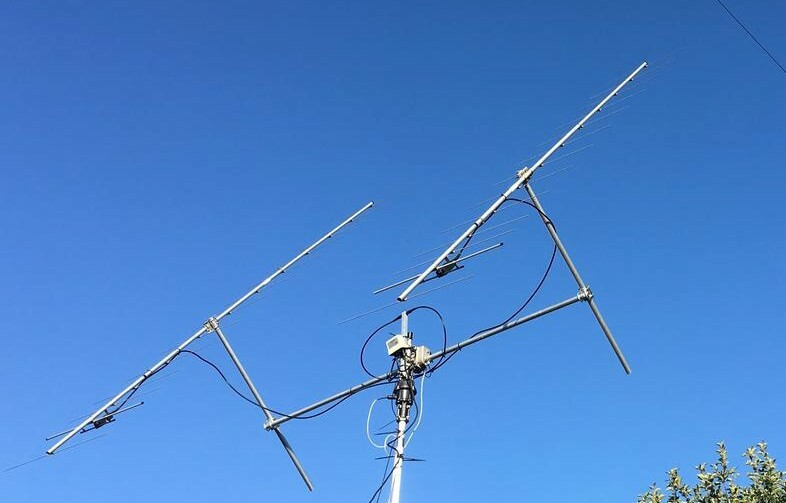 Since the THOR16 payload is so light (only 65 grams) you can expect to see it on more upcoming flights – please continue to send in reports on how it compares to the RTTY payload! 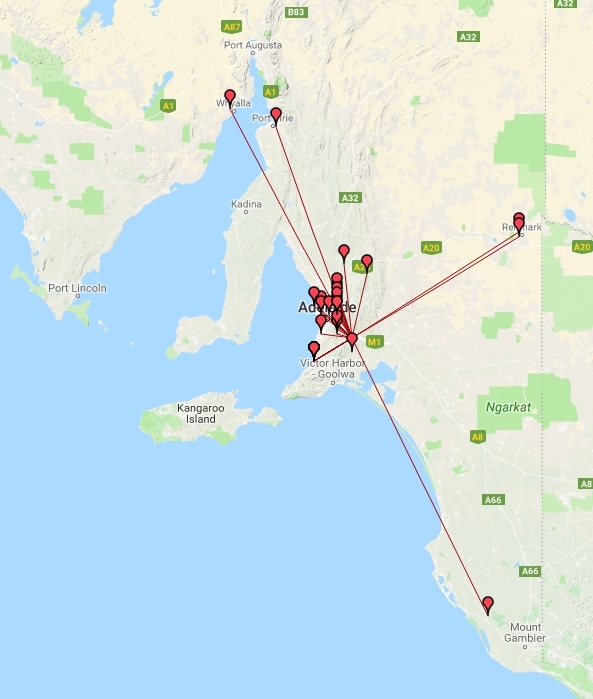 Thanks again to all listeners who decoded data from the flight, including those who went portable to track the payload down to the ground (VK5KX, VK5ZM & VK5GR). 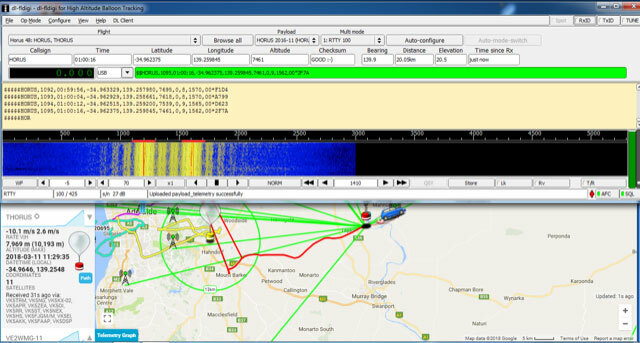 Some listeners noted issues with the Tracker where the payload list on the left side of the webpage did not populate. This is a known bug and is currently being worked on. The bug is related to window sizes, so if you re-size your browser window slightly it should re-draw the web-page, and the payload list should appear.